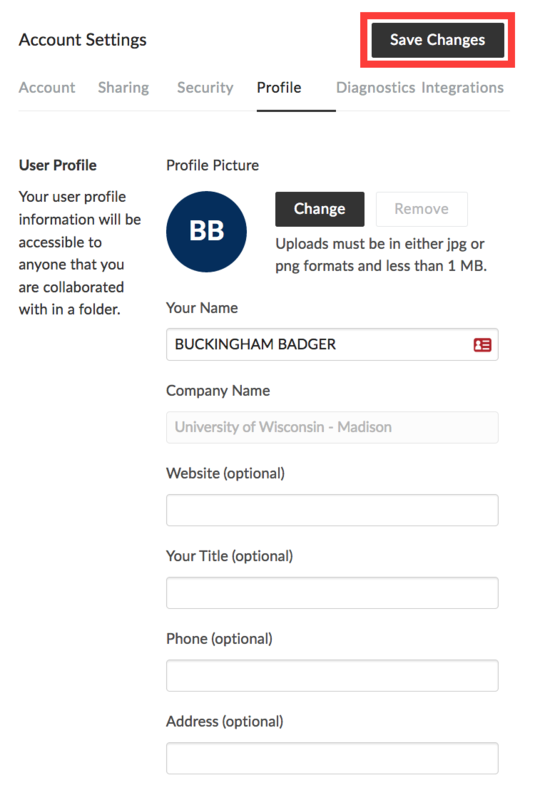 This document describes how to make changes to your UW-Madison Box profile. Note: If you have a preferred name that you have entered in the MyUW portal, that name will appear as your display name in UW-Madison Box. If you have not set a preferred name then your legal name will be used. Changes that you make to your preferred name in MyUW will be reflected in Box the next time you login. For more information about changing your preferred name, see MyUW - Using the "Preferred Name" App. 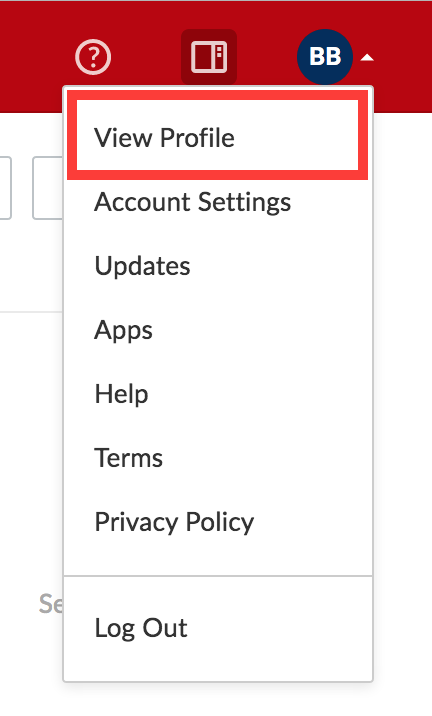 In the upper right-hand corner on the page, click on the menu labeled with your account avatar (Note: this will be your initials if you have not uploaded an image). You will see your current profile information. Click Edit Information in the upper right to make changes to any of the fields. You can now make changes to any of the available text fields (except for "Company Name"), as well as upload a profile picture. When you are done making changes, click Save Changes. 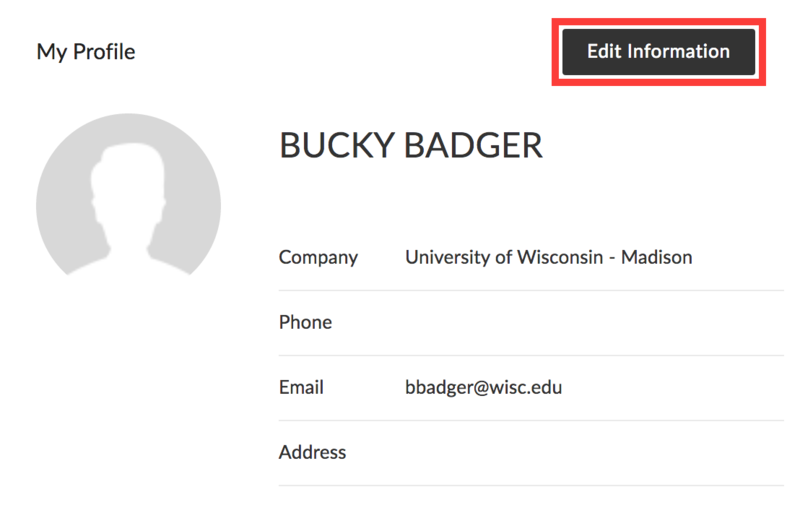 Note: Any changes you make to display name in your Box profile will be replaced with your UW-Madison preferred name or legal name the next time you login.